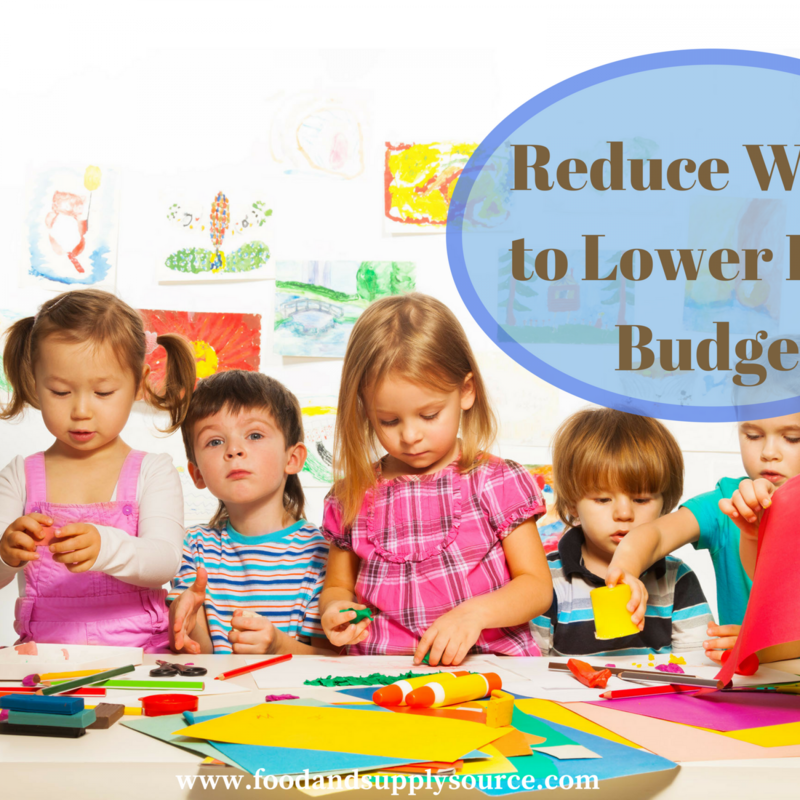 One of the ways that Head Start administrators can save money on their budget and lower food costs is to focus on figuring out new ways to reduce food waste. By implementing specific waste minimization practices, program administrators can lower their overhead expenses and reduce waste disposal costs, while still providing proper nutrition for their students. Studies show that by implementing the policies below to reduce food waste, it is possible to lower food costs by as much as 40-60 percent. In addition to making smarter purchases by using an outsourced program, such as Food Source Plus, this article will focus on tips that can help administrators reduce their Head Start food budget. Before administrators can effectively lower food costs for their Head Start food budget, they need to start by conducting a waste audit. The areas that must be audited include the kitchen preparation area and dining area. This will help to evaluate waste that occurs in the kitchen by staff during cooking and waste that occurs in the dining area by students who aren’t eating the food. what foods are being thrown out and why? could the food items be recycled or composted? if spoiled food was discarded, was it incorrectly dated or not properly rotated? were any of the cooked food items burned? were some items dished out in too large a portion? Once you have concluded your waste audit, the next step in your attempt to reduce food waste is to monitor waste through a period of tracking. Note any practices or policies currently in place to make sure food isn’t being wasted. A paper log can be used or a spreadsheet on the computer. Store and keep the information to review and compare at a later date. Any trends spotted in food loss, especially regarding burned food items, spoiled food and over-sized portions, should be discussed with the kitchen staff and cafeteria servers. They should also be included in with the implemented changes. The tracking program should be continued as changes are made to ensure that the new practices effective in reducing the Head Start food budget. Skip the food waste audit and all of the tracking when you work with the respected food and supply specialists at Food Source Plus. Our team of professional cost analysis experts will do a complete audit of your Head Start food budget, food waste and any efforts currently in place to reduce food waste. Food Source Plus will also audit your food and supply purchases to find areas where you can effectively lower food costs, while maintaining nutritional standards and food quality. Food Source Plus members regularly save between 10-35 percent in annual savings compared to expenditures from prior school years. Lower your Head Start food budget and learn how to be more efficient when you reduce food waste by implementing our practical purchasing procedures. Our system is designed to help you make intelligent, cost-effective decisions with regard to your Head Start food budget and supply budget expenditures. Who Is Food Source Plus? Food Source Plus is a privately owned food and supply management consulting company. It is not owned or managed, but works independently to provide services to clients nationwide. Founded in 1999, Food Source Plus works exclusively with non-profit, human service organizations, such as the Head Start Program. Our team of professional purchasing managers will perform an audit on your current practices and implement practical procedures that will help you to lower food costs and get your Head Start food budget under control. Membership in the Food Source Plus program is completely free. Our team is committed to providing your Head Start facility with all of the tools it needs to succeed by lowering food costs and reducing food waste. We provide menu planning, nutritional analysis, budgeting, ordering, portion control, inventory control, delivery and product diversification, all in an attempt to delivery quality services and lower food costs. Call Food Source Plus toll free at 1-866-248-4520 or visit the website at www.foodsourceplus.com. Located in Seekonk, Massachusetts, Food Source Plus serves the needs of Head Start administrators and other non-profit human service organizations nationwide.